In the spirit of the Sharon High School’s Water Conservation Exhibit at the State House last week, Senator Timilty is seeking to create awareness of the benefits of water conservation from the chamber of the Massachusetts Senate Thursday. The Town of Sharon recently received the “Excellence in Outreach and Education” award from the United States Environmental Protection Agency for the Town’s efforts to educate and inform citizens about practical ways to conserve water. The recognition was awarded under EPA’s WaterSense program. 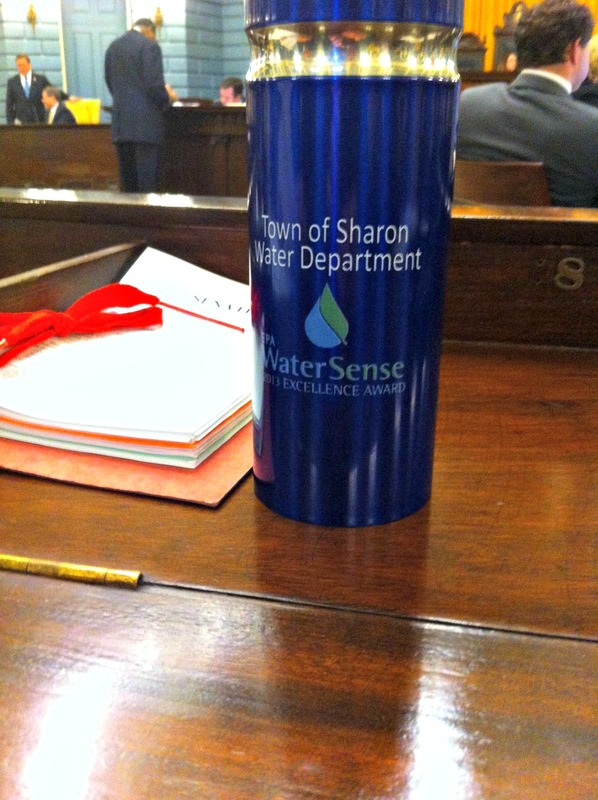 Special thanks to Conservation Advocate and Sharon resident Paul Lauenstein for the water bottle. Thank you for visiting my official website. It is an honor and a privilege to serve the Bristol & Norfolk District in the Massachusetts Senate. I hope you will take full advantage of the resources I have to offer on my website. It is always my goal to find new ways to be more accessible, accountable and responsive to my constituents, and it is for this reason that I have applied this new method of outreach. In the New Year I will continue to send these electronic updates on a monthly basis to keep you better informed on issues in the Legislature. If I can ever be of any assistance to you or your family, please do not hesitate to contact me anytime.